A bad couple of days, we have lost two giants of the political left, Bob Crow and now Tony Benn, we are still standing though and the struggle will go on. A couple of years ago Tony Benn was doing a book tour and was to speak at the Theatre Royal in Glasgow, 3 invites were sent to Renfrewshire Council to attend as invited guests as our constituency of Renfrewshire is where Glasgow Airport who were sponsoring the tour is located, I got one of those tickets because Labour leader of the council Jim Harkins found himself dealing with some emergency or other and had to drop out, lucky coincidence number 1. 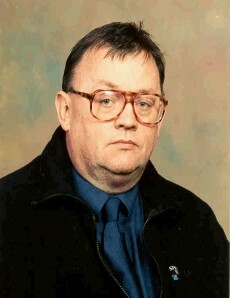 We, (provost Ronnie Burns, Cllr. Tom Williams and myself) turned up at the venue over an hour early by mistake, lucky coincidence number 2. We were shown in to the invited guest reception area where we took the only table there to wait, it was a stand around and mingle affair and we were first in and it was the only table and it had 5 chairs. Minutes later in came Tony Benn with his assistant and we sat there mesmerised as he looked over and we realised he was coming over to ask if he could join us, happy coincidence number 3. We then spent just short of an hour talking to one of our great political heroes and it was like a personal tour of most of the twentieth century, Churchill, Ghandi, Lloyd George, JFK, Khrushchev, Mandela, Nye Bevan, Clem Atlee, Kings, Queens, Presidents were all included in the discussion and of course he had met them all. He was the most modest and genial of men, highly intelligent and kind and a great Socialist. He gave us copies of his book and I still treasure mine which has written on the inside cover "to Terry in unity Tony Benn". When people attack the Labour Party I think of people like Benn, Foot, Bevan etc. and I am encouraged that I am part of what they stood for. I take what some might consider to be a simple stance when I say ‘if the Labour Party is good enough for Tony Benn then it is good enough for me’. Tony Benn is by no means unique in this regard, there are a great many fine Socialists like him in the party but he is famous and as such he’s a good example to use. I watched a tribute programme last night on Tony Benn and was struck by the twisted logic that was used by some of his opponents like Healey, Kinnock and Hattersley, essentially what they were saying was that his opposition to them was divisive and their opposition to him was not divisive?. I think there is great anger and jealousy now among those who fought these bitter battles with him, it was never anything else but left V right and the latter are regarded as the people who let the party down while the former Tony Benn, is regarded as a Labour hero. Be prepared for more settling of old scores over the next while as the right wingers regroup to traduce his memory. Politics is a funny old game. Tony Benn R.I.P. COMRADE BOB CROW - RIP. I wrote a post to the Glasgow Herald comments page yesterday (Monday) and in it I was very complimentary about Bob Crow The leader of the RMT union. I described him as being in the tradition of Arthur Scargill, Mick Mc Gahy, Len McCluskey and Jimmy Airlie, men of the utmost integrity and true warriors for the working class. It’s now Tuesday at 12.28 pm and I read an hour ago that Bob Crow had died of a heart attack, I am reeling at the news, firstly because he was a man I admired greatly and also because of the coincidence of writing about him less than 24 hours ago, the fact that his death was so sudden and him not being unwell adds to the shock. Some of the names I have mentioned above were members of the Labour party and some were not but I regarded all of them as union brothers and political comrades, never enemies, opponents occasionally but never enemies. Crow was a giant, intellectually, politically and physically as well, he was very popular with his union members not least because they enjoy good wages and working conditions because of his efforts on their behalf, but also because they knew he was 100% on their side and he would never ever sell them out just like the people I mentioned above. One of my great pleasures in recent years was to watch Bob Crow on TV or listen to him being interviewed on the radio, he was quite simply brilliant. The last one I saw was between him and Andrew Neil who joined the growing band of political journalists who could not land a glove on him, that is not meant to be demeaning to Mr. Neil who is tough, able and rather good at what he does. That interview was like most others with Crow a walk in the park, Neil smart guy that he is recognised that he would not get the better of him and ended up turning it in to a jovial good natured encounter. At one juncture Neil slyly put up a picture of Crow lying on a Brazilian beach on holiday in an attempt to show him in a bad light with his members, the suggestion being that his members could not afford such luxury. Crow quite calmly and politely suggested that he would discuss holidays etc. with Neil if Neil agreed to answer Crow’s questions about his wages and holidays etc. which made me wonder why other interviewees do not do something similar, Neil was stumped but was wise enough to take it on the chin rather show himself in a bad light by becoming churlish at the big bruiser’s audacity. I wish our union leaders and our politicians of the left would try to emulate people like Bob Crow he represented everything a good union leader should be. Tough, uncompromising, honest and diligent in pursuit of his members interests and not afraid to speak out politically in defence of the working classes. I sincerely hope his successor carries on where Bob left off. SUPPORT FOR SEPARATION SLIDES TO 17% IN SALMOND'S OWN BACKYARD. The latest laugharendum poll is interesting. It was taken in North East Scotland, a place that the snp like to portray as alex salmond's heartland. The place where he set up the Mary Salmond foundation with one of his many wages, named for his late mother, he subscribes to the theory that there is no point in doing something good unless you ensure that everyone knows you have done it, hence the name of the charity. The latest poll gives salmond and his crackpot vanity independence project just 17% support. When we see as we are doing wee Sturgeon on the TV constantly we know they are in trouble, wee salmond goes AWOL at such times, wee heilan stoat that he is. I predict that this will drop even further and the Yes campaign headed by salmond and the snp will be humiliated. We already know that 40% of snp voters have declared that they will vote No and women are getting hurt in the crush to get away from salmond and separation. Still, big sean connery has at last made a brave dynamic entry in to the proceedings. Considering the state of the yes campaign it now looks like curtains when you consider that there are very few bad situations that the arrival of connery can't make worse. He has made a courageous and extremely exhausting intervention by writing from the Bahamas, to tell us how to vote, this is a man who loves Scotland, he loves it's mountains, it's glens, it's cliffs and it's rivers. He loves to spend time gazing at their beauty as he flies over the country on his way back to his equally beloved tax haven in the Bahamas, what a man, doesn't he make you feel humble?. 25% is now a more realistic target for the yes campaign. Serves them right for all their lies.